Permian crude oil production continues to march steadily upward, headed toward 3.0 MMb/d sometime in the next few months. Most of the recent growth responsible for pushing total U.S. output past 10 MMb/d has come from increases in Permian volumes. 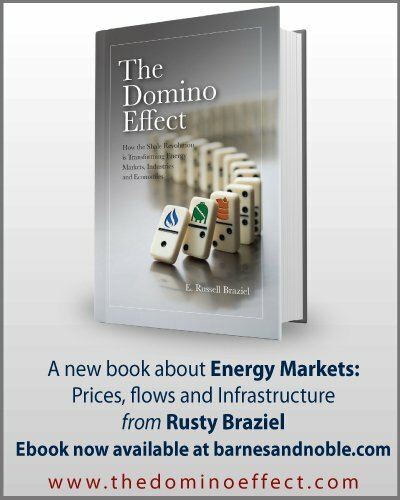 Pipeline capacity out of the super-hot play is on the ragged edge of maxing out, and a myriad of new projects to relieve capacity constraints are in the works. Why then has the price differential between Midland, TX, and the Gulf Coast dropped over the past few weeks? 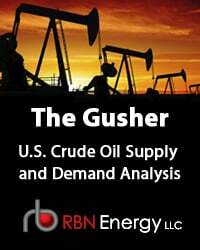 Why did the Brent vs. WTI/Cushing spread crater? And what does this all mean for Midland-to-Gulf Coast transport deals getting struck for $2.00/bbl or less? Today, we look at these developments, try to make sense out of the Permian/Midland crude oil market, and consider what the future might hold for West Texas barrels moving to the Gulf Coast. We’ve talked frequently about increases in Permian crude oil production and the need for new pipeline takeaway capacity here in the RBN blogosphere. 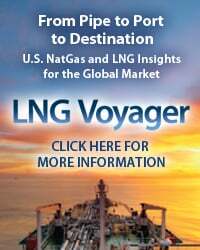 In December (2017), we detailed the latest wave of Permian pipeline projects in Help on The Way, including briefs on the planned Phillips 66/Enbridge Gray Oak Pipeline; Magellan Midstream Partners’ plan to build a set of connecting pipes between Midland, Corpus Christi and Houston; an expansion of the Magellan/Plains All American BridgeTex Pipeline from Midland to Houston; and the latest from Enterprise Products Partners: the planned conversion of one of its NGL pipes out of the Permian to crude service, also targeting Houston. Through all of this, Enterprise continues to ramp up volumes on its Midland-to-Sealy pipeline, which is said to be flowing more than 200 Mb/d with expectations to hit its 450-Mb/d full volume by June. Also, EPIC is said to be laying pipe for its 550-Mb/d, 700-mile line from the Permian and Eagle Ford to Corpus Christi, and Plains announced the 585-Mb/d Cactus II pipeline from West Texas’s Orla, Wink South, Midland, Crane and McCamey points down to Corpus Christi. And the announcements keep on coming. Two weeks ago, Trafigura signed a long-term commitment with Plains to move 300 Mb/d of Permian crude to Corpus on Cactus II. We understand that this brings the Singapore-based global commodity trading company to 450 Mb/d of outbound capacity, making it the largest holder of takeaway out of the Permian. The capacity provides Trafigura with direct access to export dock capacity and the two 50-Mb/d condensate splitters at Corpus, where the trading company holds 100% of the capacity on units operated by Buckeye Partners and Magellan. 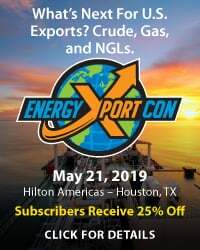 We don’t know the transport rate on that deal, but if announcements from Magellan and Plains for their new capacity on BridgeTex are any indication, the market for transport capacity from Midland to Houston is sub-$2.00/bbl. 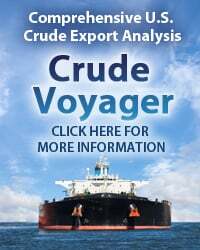 A January 30 (2018) BridgeTex press release indicated that 10-40 Mb/d from Midland to East Houston is going for $2.10/bbl, while the same volume from Colorado City, TX, to East Houston is priced at $1.85/bbl. We’ve heard numbers for capacity out of the Permian lower than that being talked about and done. For example, we understand that Chevron has taken out capacity on Enterprise’s Midland-to-Sealy line at something well below $2.00/bbl for a term of 15 years, which Chevron will need, given that it has announced it will be increasing its Permian rig count by 25% — to 20 from the current 16 — over the coming months. 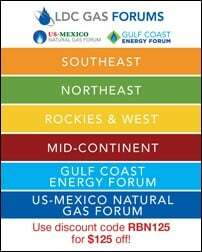 And there’s talk of other projects offering Permian-to-Gulf Coast transport for $1.50/bbl or even lower. Clearly, there is a lot of competition among pipeline projects for locked-in Permian barrels these days. 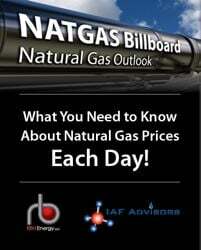 To access the remainder of We Gotta Get Out of This Place - Midland Crude Production, Takeaway Capacity and Price Differentials you must be logged as a RBN Backstage Pass™ subscriber.